This is a Revellogram kit built straight from the box. 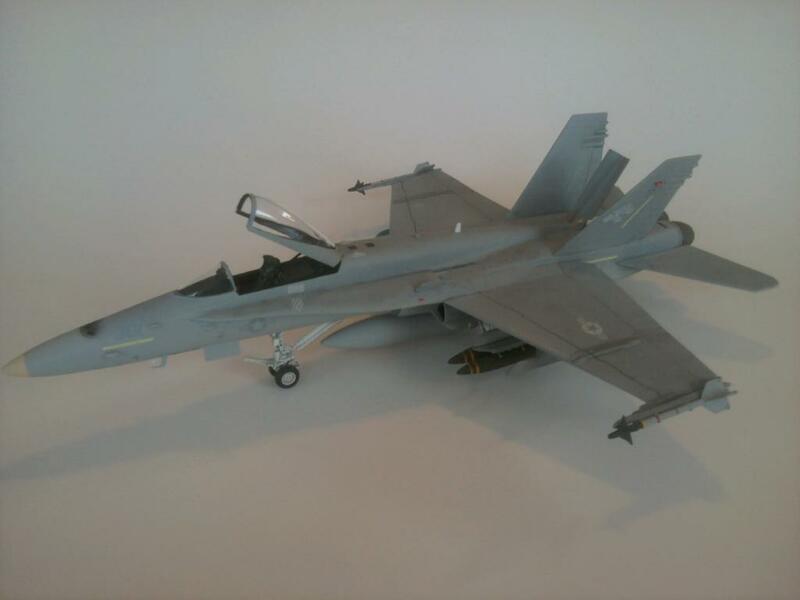 It was painted with Humbrol enamels and the kit decals for a VFA-113 USS Independence 1990 cruise (Desert Shield) example were used. 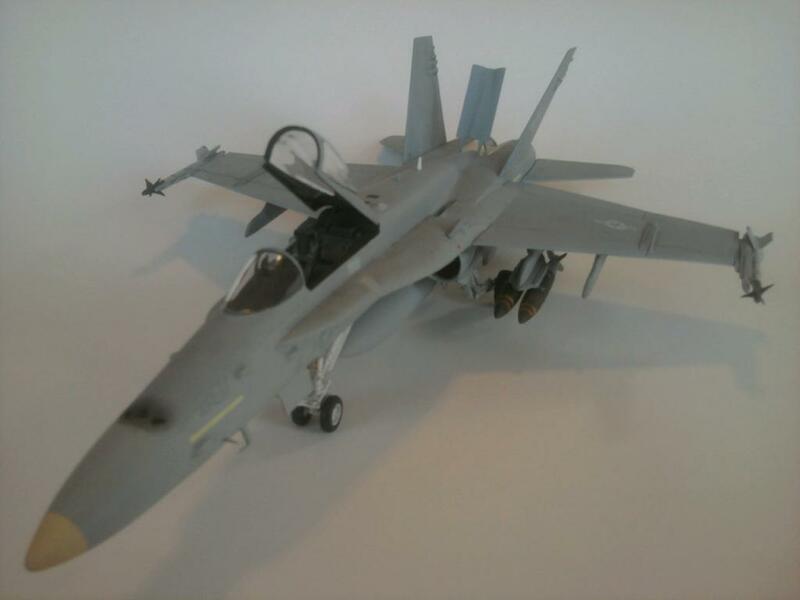 This is the 3rd example of this kit I’ve built over the years and plan to do another in VFA-81 Mig killer markings soon. Still a solid kit. Great looking Hornet!! I still think the Monogram Hornet is a great kit! Job well done!